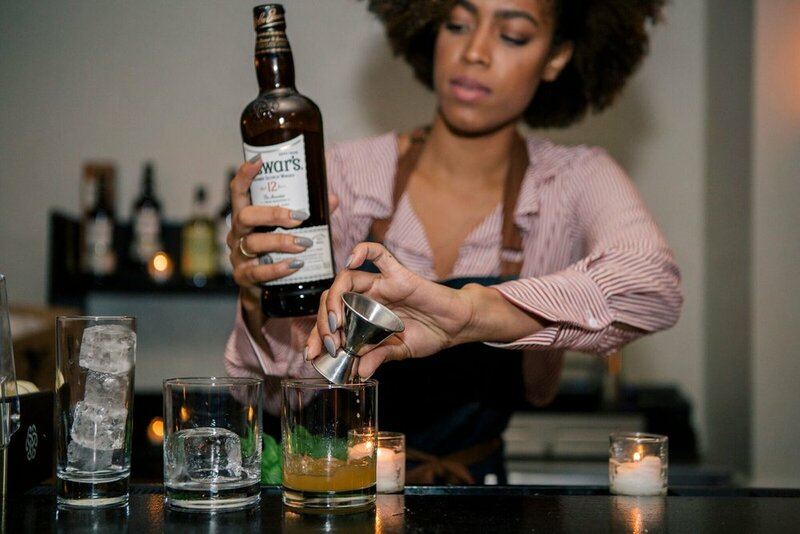 Guests filled up the Ace Hotel celebrating with DEWARS's and Jason Biggs as Chef Michael Voltaggio, served delicious Scotch Egg bites to some of New Yorks most social crowd. Cracking jokes as attendees anxiously waited for a mechanical chicken to “hatch eggs” onto a life-size BINGO board, Biggs chatted with fans in the crowd and drew laughs throughout the evening. Not one to miss out on an opportunity to elevate the guests’ experience, Chef Voltaggio was spotted using liquid nitrogen to create a twist on a DEWAR’S cocktail and serving it like a sorbet – a frozen Scotch! Scotch expert and Brand Ambassador, Gabriel Cardarella caught up with guests during the evening, taking whisky enthusiasts through a tasting of the John Dewar & Sons portfolio, including drams of rare single malts ABERFELDY and CRAIGELLACHIE.